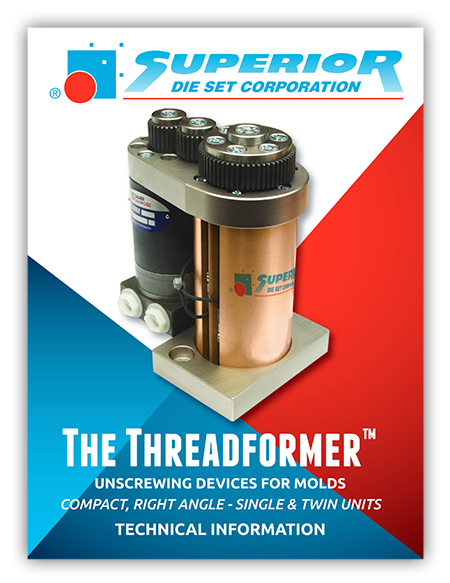 Made in the USA, Threadformer™ unscrewing devices provide a very simple solution to complex unscrewing molds. Precise, sturdy and cost-efficient, they reduce production and labor costs by consistently delivering reliable, trouble-free service, on time. The Threadformer is ideal for low-cavitation jobs. 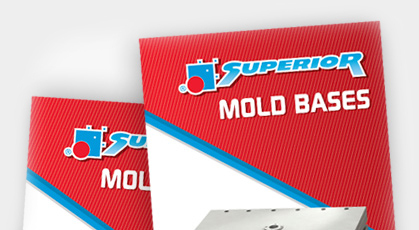 It takes on the difficult task of unscrewing molds without compromising the part and delivers maximum accuracy without any hassle. With a compact, yet highly powerful hydraulic motor, the Threadformer provides the high torque needed while providing a positive core stop to deliver optimal precision. 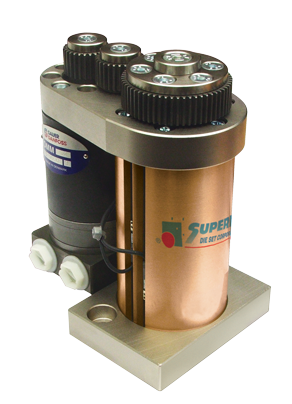 Easy to install and operate, the Threadformer also comes in a right-angle unit for water cooling or upstanding cores. Check out this video to see the Threadformer in action. For higher mold operating temperatures see the NEW Core Cooling and Insulating Plates below. Learn more about the Threadformer unscrewing device.